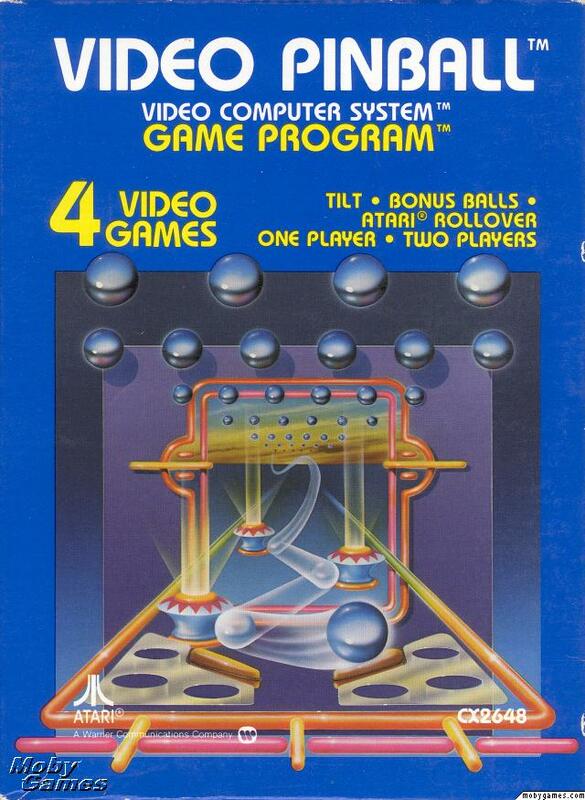 There might be some pinball purists out there who will want to burn me at the stake for this heresy, but give me Atari 2600’s Video Pinball over a “real” pinball machine anytime. That whole face-to-face argument for pinball is a symptom of corrupt unions and nostalgia for a livable wage 🙂 The 2600 version was a port from the 1978 dedicated console, and it remains one of my all-time favorite Atari 2600 games. This entry was posted in digital storytelling, video games and tagged animatedgif, atari, ds106, giffest, video pinball. Bookmark the permalink. My favorite 2600 game was Miner 2049’er. It was excruciatingly difficult, but I’m thinking I might have to dig it up and see if it still works. An endless GIF loop of me falling to my death would probably be the best representation of the game I could make. and the only 2 games you ever needed on an Atari 2600 were Pitfall and Asteroids. OK. I played Barnstorming for hours. And Defender. And Frogger. And Joust. And even Yar’s Revenge (and a surprising number of others from the list). but. Pitfall! and Asteroids. That’s where it’s at. The rest was all just filler. @Darcy – I hereby toss Moon Patrol into the ring for best 2600 game contender. @Jim – GIFs incoming after I lose myself for a couple of hours in that emulator you posted.